souKare, a Dubai-based ecommerce platform that sells lifestyle and healthcare products has raised $400,000 in seed funding, the startup announced today. The investment came from a group of investors in UAE and Saudi, who according to the statement, include CEOs, partners and senior management working from strategy consulting, private equity and startups. Founded in 2016 by Faraz Khan, a McKinsey alumnus, souKare currently sells fitness products and contact lenses in UAE & Saudi Arabia. The platform includes a wide range of contact lenses and products from leading fitness brands including Acuvue, Bella, Solotica, Optimum Nutrition, Jym. The best part about souKare is that it offer a 90-minute free delivery on orders above AED 100, according to its website. For other parts of UAE, it has next-day delivery service and for Saudi, it takes 2-5 days to deliver the products. The startup has plans to expand into a new major category that is way bigger in terms of market size, compared to its current two categories. “The market size for our next category is estimated at 10 times the size of our current two product categories put together. 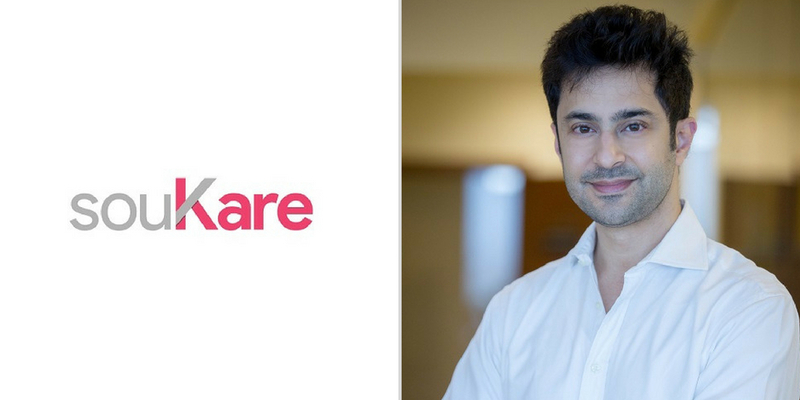 Our vision is to change the way customers purchase lifestyle and healthcare products, and to ultimately become a leading Healthcare Tech player in the region and beyond”, said Faraz. souKare was part of the Sharjah-based Sheraa’s second cycle that helps startups with its acceleration and incubation program without taking any equity.